2.5+ year experience of performing Software Testing/ Quality Assurance on Online products with sound knowledge of functional and nonfunctional testing of new products/features on existing SaaS based products for ecommerce industry. Functional and Nonfunctional testing of web/native applications. Construct system and integrate test plans. Performance testing and Load Testing. Participate within the ‘Scrum’ process. Understand and apply principles of software engineering. Elicit requirements from end users and stakeholders as needed. Understand application and prepare/execute test-plan, test cases using technical requirements and design as input for API Testing. Design test strategy, test plans and test cases/scenarios. Analyze test results, perform data validation, track defects and provide regular status updates. Write and execute medium level to complex level SQL queries. End-to-end testing of products by using different techniques while performing testing tasks – related to database, backend processes and front-end applications. Documentation of installation instruction and provide technical support. Provide regular reports on testing and resolution status, including metrics. The role will be initially focused on both manual testing and API testing but the selected – candidate is expected to be hands-on with either of automation testing frameworks such as Selenium or QTP. Must have exposure on J-meter and writing unit tests for API testing (Scripts can be written in any language). Requirement is immediate and candidate joining early will be preferred. Pl. view all our job postings at our career-site: www.bee5manpowerconsulting.com and apply online by answering all the questions posted along with Job Description. End-to-end testing of products by using different techniques while performing testing tasks related to database, backend processes and front-end applications. The role will be focused on manual testing and API testing. BE/ B.Tech/ MCA with 3+ Years experience in QA/ Software Manual Testing. Ability to create defect documentation, verify and validate Testing reports. Prior experience of end-to-end testing of products and work on scrum methodologies. Hands-on with J-meter and writing unit tests for API testing (Scripts can be written in any language). Hands-on with manual testing, load testing and API testing. EASi,India has great opportunities in Automotive Embedded domain across our centers in Chennai ,Bangalore and Pune. Please do visit our website www.easi.com to know more about us. Knowledge in Python for supporting tools development in HIL systems is preferred. The HIL Validation Engineer will be responsible for designing and implementing test scripts and test automation for dSpace HIL System.The projects will be in Automotive domain. Develop, manage and maintain automation framework that can retain reusable automation test cases and test data using selenium that improve the education software experience for 13 million students at nearly 12,000 schools in 100 countries. Implement automated testing of web applications across multiple web browsers and platforms. Develop process definition, documentation and support in release management by continuous integration (CI) and continuous deployment (CD) processes. Manage set up and prepare test environments in advance of testing and mange testing progress reports including defect management. Remain current with new testing technologies. Identify and troubleshoot problems related to scripts, framework components, compatible browsers, environment/ connectivity, application changes, etc., and repair issues. Software Testing Automation Engineer, will report to Technology Manager at India Development Center. Responsible for Validation of Hardware, Firmware and Software products for all NPI and sustenance projects for company products globally. Ensure Software testing of products like IQ+ and automation of the SW testing process. Owns Validation signoff for all products and process. Responsible for design and development of test cases, test tools, and test scripts for Software. Use existing tools and techniques to execute test cases and build/ script new tools for performing testing/ validation function. Develop and lead the automation strategy/ effort and generate scripts to perform automated testing cycles using test center, Quality Center, QTP, etc. Drives validation of hardware platforms consisting of micro-computer based systems with analog and digital IOs. Participate in all aspects of testing, including functional, smoke, regression and performance testing. BE/ B.Tech Electrical or Electronics or Computer Science with 5+ year experience in Software Test Automation for CT/PT, Transformers, grids, Omicron devices etc. Hands-on with basic programming skills in Linux and Windows software development platform. Sound Development/ scripting skills of minimum two common languages like VB, JAVA, PERL, C++, Python etc. Database skills, mainly in SQL Server & Oracle. Good understanding of object oriented programming, J2EE architecture, .NET, etc. Knowledge of automated testing tools, like Win Runner, QTP, Rational Rose, Quality Center, Test Complete, Selenium, Tester based Automation, web based Automation, etc. Experience must include supporting a structured, process driven and continuous improvement organization. Ability to work independently, self-driven and result oriented. Salary: INR 8,00,000 – 18,00,000 P.A. Generate scripts to perform automated testing cycles using test center, Quality Center, QTP, Selenium, etc. Perform functional, smoke, regression and performance testing. Automate product/ system testing, field condition simulation, use Agile/ Scrum. BE/ B.Tech Elec/ Elx/ CS 5+ yrs exp in SW Test Automation, CT/PT, Transformers, Omicron devices, Linux, Windows, scripting in VB, JAVA, PERL, C++, Python, SQL/ Oracle, OOPs, J2EE Architecture, .NET, SW testing tools. Generate scripts to perform automated testing cycles using test center, Quality Center, QTP, Selenium, etc. Perform functional, smoke, regression and performance testing. Automate product/ system testing, field condition simulation, use Agile/ Scrum methodologies. I am Manoj from Wilco Source, Wilco Source is an MNC & Major implementation partners to the healthcare clients like McKesson, Ferma corp and many other Clients, etc. we have branches in USA, India, Europe. new branch starts in Mexico, for more information can visit our website www.wilcosource.com. Overall 6+ years of experience in IT with at least 4+ years of experience in Tableau as an Admin. Knowledge of Tableau maintenance, performance monitoring, and tuning. Demonstrated understanding of how to implement promotion methodology and version control in Tableau. Create Tableau Scorecards, Dashboards using stack bars, bar graphs, scattered plots, geographical maps, line/pie graphs, and charts. Maintaining security and create/manage users, groups, licenses and integrate with active directory. Create best practice guides and work with development teams to implement them. Creating, testing and accurately reporting against formal test scripts and plans. and other applications such as JIRA and Confluence. IT specialist and hands-on knowledge of systems being tested and related business functionality. the testing of non-web systems and processes is also within the role. Hands-on with automated testing tools for websites using Selenium RC /web driver. Knowledge of using test management tools such as JIRA will be a big plus. Expertise in SQL/ MYSQL Database Testing and write SQL queries to check/ fetch data from databases. BE/ B.Tech in Computer Science or Information Systems with 4+ years experience in quality assurance of consumer-facing websites in a structured environment. Ability to create testing & reporting against formal test scripts and plans, rigorous manual testing, knowledge of Quality methodologies including understanding of exploratory testing techniques. Good technical capability and hands on experience of writing SQL queries. Experience of international projects desirable. Familiarity with books and journals publishing, particularly for the academic and professional markets, would be advantageous. 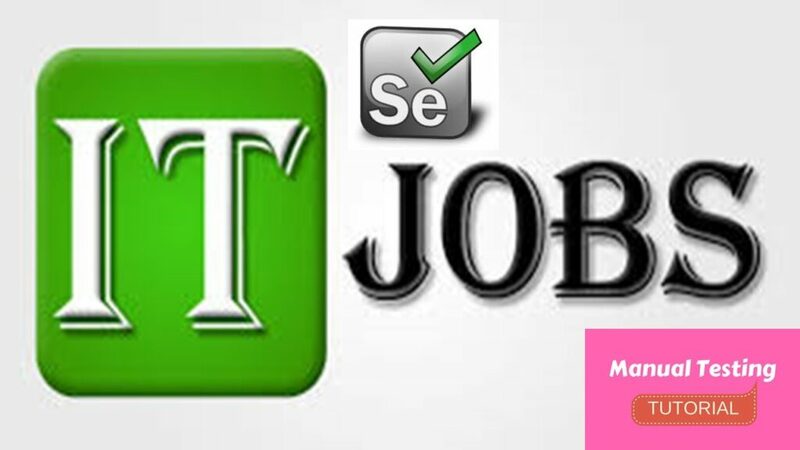 6 12 months experience of automated testing tools like Selenium RC /web driver. Experience of issue tracking systems and build management tools like JIRA is desirable. Highly motivated self-starter able to work to deadlines. Well organized, with excellent written and verbal communication skills in English and ability to communicate effectively with technical and non-technical stake-holders. Ability to work effectively with internal and external team members at various levels to achieve results through cooperative, goal-oriented approach. Strong attention to detail when testing and in documentation. Experience working with screen readers (JAWS/NVDA/VOX ETC). “Works on projects of moderate scope where analysis of accessibility to make sure that WCAG 2.0 AA guidelines are met. Requires a review of identifiable factors. Experience with JAWS, VOX, or other screen readers required. Experience with Wave, Deque Comply, Attest, Amaze appreciated. Ability to test for accessibility, make recommendations for remediation. Exercises judgment within defined procedures and practices to determine appropriate action. – Decision-making and independence is involved but limited. Company:Miracle Corporate Solutions Pvt. Ltd.
Salary: INR 4,25,000 – 6,00,000 P.A. Excellent communication skills are a key requirement.